On the cusp of the 30th anniversary of the discovery of AIDS, a new report from UNAIDS says there is reason to be hopeful that the global response to HIV and AIDS is having some positive impact. A record number of people—1.4 million—started treatment for HIV or AIDS in 2010, and the pace of new infections has slowed significantly. 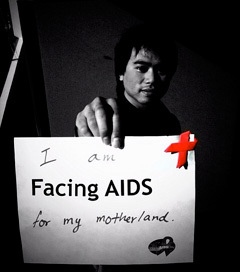 Between 2001 and 2009, new HIV infections declined by 25 percent around the world. But according to the organization, an estimated 34 million people are living with HIV and nearly 30 million have died because of AIDS-related illnesses since the discovery of AIDS on June 5, 1981. Today, with new advances in research, the most pressing issue for the communities that are seeing the fastest rates of new infection—that is, women and in the U.S., black neighborhoods—is equal access to treatment that can not only slow the rate of the virus’s growth in a person’s body but the spread of the disease to other people.